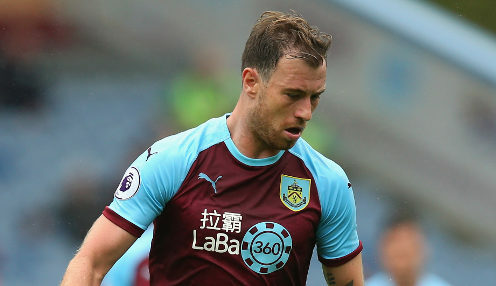 January recruit Peter Crouch has admitted to being surprised by the quality on offer from in-form Burnley strike duo Ashley Barnes and Chris Wood. Barnes has scored five times in his last six games, while Wood has four to his name from his last six appearances. They have been first-class since I came in and I have been surprised by just how good they are. That return has left Crouch having to make do with a back-up role which has seen him make three contributions off the bench for the Clarets. And the former England man has no complaints, telling the Lancashire Telegraph: "Those two have been really good. They have been first-class since I came in and I have been surprised by just how good they are. "I've been so impressed with both of them. I really think they're two very good players and I've been very impressed with the amount of goals they've scored, the work that they get through and their hold-up play. "All I can do is make an impact from the bench. I've done that when I've come on." The Clarets recently put together an eight-game unbeaten run to ease their Premier League relegation fears, but losses last week to Newcastle United and Crystal Palace have left Burnley just five points clear of the bottom three. Their next assignment is a trip to Anfield to take on Liverpool on Sunday, with the visitors 15/2 to claim a draw against the title hopefuls. Meanwhile, Burnley are 1/1000 not to be relegated and 1000/1 to be relegated come the end of the season.